Anna’s Secret Legacy’s Sold-Out Premiere Party took place last evening. It was a huge success and part of the proceeds from the book will be donated to the Ronald McDonald House Foundation. Keep checking back in our Events Section on the Official Website www.annassecretlegacynovel.com for pictures from the event! A new event has just been added at the Golden Inn in Avalon, NJ over Labor Day Weekend. It will take place on Friday, Sept. 3 from 5-7 PM. 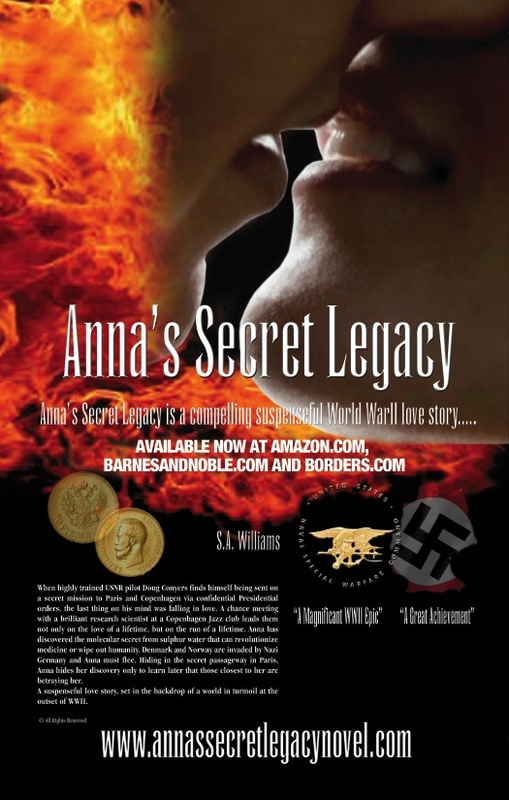 Join us tomorrow at the Skippack Roadhouse from 5:30-7:30 PM for an Anna’s Secret Legacy Book Signing before Anna’s Secret Legacy heads to Saratoga for book signings!